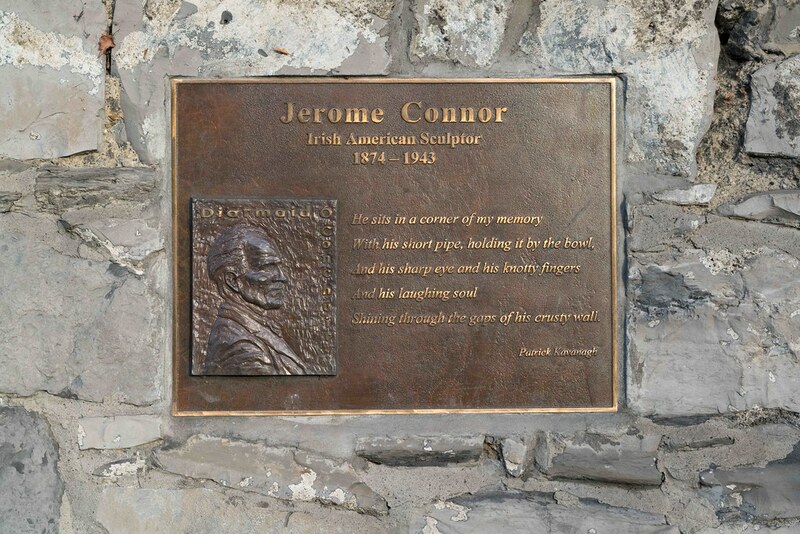 Jerome Connor (23 February 1874 Coumduff, Annascaul, County Kerry – 21 August 1943 Dublin) was an Irish sculptor. (Also Known as: Patrick Jeremias Connor, Jerome Conner, Jerome Stanley Connor, J. Stanley Connor, and "St. Jerome" Connor). Connor is a recognised world class sculptor and his best known work is Nuns of the Battlefield located at the intersection of Rhode Island Ave NW, M St & Connecticut Ave NW in Washington, D.C., United States.Nuns of the Battlefield was surveyed in 1993 by the Smithsonian for their Save Outdoor Sculpture! program. It serves as a tribute to the over six hundreds nuns who nursed soldiers of both armies during the Civil War, and is one of two monuments in the District that represent women's roles in the American Civil War. The sculpture was authorised by Congress on March 29, 1918 with the agreement that the government would not fund it. The Ancient Order of Hibernians, raised $50,000 for the project. Jerome Connor was chosen since he focused on Irish Catholic themes, being one himself, but he ended up suing the Order for nonpayment. He worked in the United States until 1925 and moved to Dublin where he opened his own studio, but, lack of financial support and patrons caused his work to slow. In 1926 he was contacted by Roycroft and asked to design and cast a statue of Elbert Hubbard who, with his wife Alice, had died in the sinking of the RMS Lusitania. It was unveiled in 1930 and today it stands on the lawn of East Aurora's Middle School across the street from the Roycroft Chapel building. While working on the Hubbard statue, Connor received a commission to create a memorial for all the Lusitania victims. It was to be erected in Cobh, County Cork where many of the victims were buried. The project was initiated by the New York Memorial Committee, headed by William H. Vanderbilt whose father Alfred Gwynne Vanderbilt, like Elbert and Alice Hubbard, perished on the Lusitania. Connor died before the Lusitania memorial was completed and based on Connor's design its installation fell to another Irish artist. Shining through the gaps of his crusty wall.